The survey, conducted in July, revealed Australia’s top four brands with positive net trust scores were Aldi, Bunnings, Qantas, and the ABC. The rest of the top 10 (ranked) were NRMA, SamSung, Bendigo Bank, Myer, RACQ and IGA. The first two benchmark surveys were conducted in October 2017 and January 2018, with a third conducted in February and a fourth in April. Comparing the most recent (July) survey with the previous (April) survey, Qantas improved one place from number four, and the ABC jumped three places from number seven. ALDI, Bunnings, and Qantas have remained in the top five most trusted brands across all surveys since October 2017. Bendigo Bank is the only bank brand to defy the fallout from the Financial Services Royal Commission, remaining in the top 10 brands with a positive Net Trust Score (NTS) across the five surveys to date. Conversely, AMP has moved to feature prominently in the two most recent surveys of Australian brands with a negative NTS. According to Roy Morgan CEO, Michele Levine, AMP provides a good insight into how distrust can have a material effect on brand value and sustainable growth. “The banks were already deeply distrusted so any material impact on their market value is up and down. But AMP has never before been so distrusted,” she said. In addition, Bendigo Bank is ranked number one most Australia’s trusted bank in Australia, HCF is the number one most trusted Private Health Insurer, the ABC is the most trusted media brand, SBS the most trusted commercial media brand, while Facebook is now the most distrusted media brand. According to Levine, Facebook is another example of how skyrocketing distrust has a material effect on brand value. “After all the accusations of fake news, international political interference, and the Cambridge Analytica data privacy scandal, users, employees and advertisers jumped ship. “Facebook’s distrust score catapulted it into the number one ranking on the top ten most distrusted media brands, and into the top ten most distrusted brands in Australia. “Facebook’s earnings dropped and its share price plummeted, wiping $US145 billion off its market value,” she said. The trust across Industry Sector survey reveals that the most trusted industry sector is retail, with the banking sector by far the most distrusted. Roy Morgan asked more than 10,000 Australians to nominate brands they trust and brands they distrust, and why. Surveys are unprompted and open-ended. 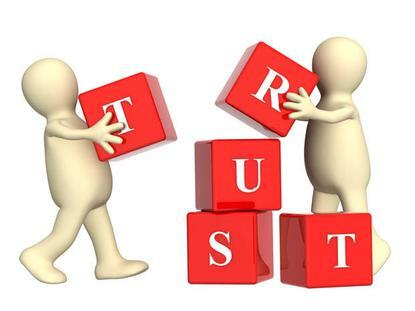 A Net Trust Score or NTS is calculated by subtracting a nominated brand’s distrust score from its trust score.